HomeNews[NEWS] Lee Min Ho X Royal Pirates Crazy X’mas Lucky Draw! 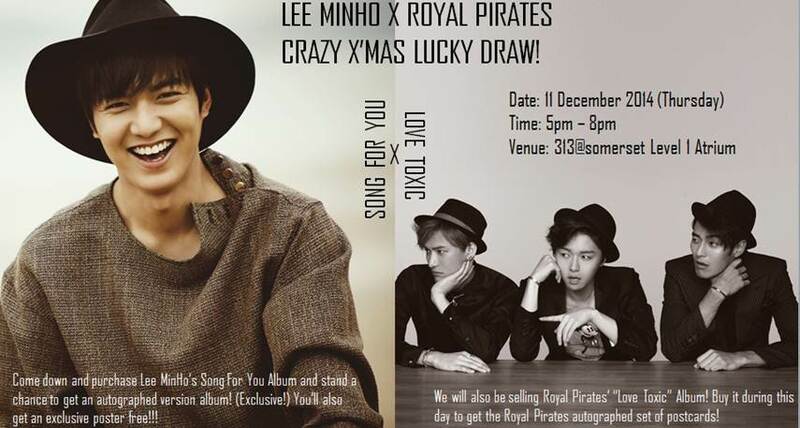 [NEWS] Lee Min Ho X Royal Pirates Crazy X’mas Lucky Draw! Organised by Universal Music Singapore Regional, a Christmas lucky draw event will be held on 11 December 2014 for all Lee Min Ho and Royal Pirates‘ fans. Fans will be able to purchase Lee Min Ho’s “Song For You” album as well as Royal Pirates’ “Love Toxic” album on the event day. Those who purchase a “Song For You” album will be entitled to a chance of getting an exclusive autographed album by Lee Min Ho. You will also receive an exclusive Lee Min Ho poster that comes with the purchase. Fans who purchase a “Love Toxic” album on the event day will get an exclusive set of postcards autographed personally by Royal Pirates. 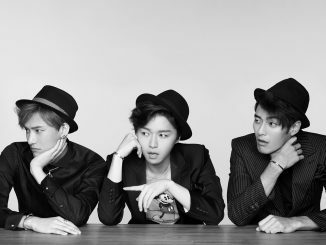 If you’re one of those who previously purchased Royal Pirates “Love Toxic” album for their autograph session, you can redeem their autographed postcards from now till 31st December 2014, with more details HERE! 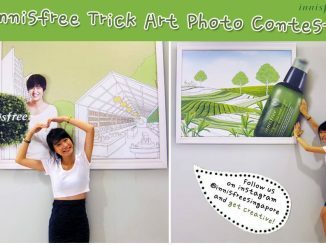 [CONTEST] Innisfree Singapore – Participate in the Trick Art Photo Contest & meet Lee Min Ho up-close in Singapore! Although gangnam blues yet to be premier will lMH not sign in for a new. Drama if not for endorsment,micro drama and global tour only in Asian countries few we would not have heard seen him this 2014?why our Prince?